Medical Air has been providing 24/7 emergency medical flights and evacuation transfers for Australians domestically and overseas since 2013. In that time we have transported 100’s of sick and injured Australians safely back home. Our fleet of air ambulances is one of the largest in the industry and all of which are fully equipped with ICU facilities. The key point of difference we bring to the market is that we are a vertically integrated company that services, maintains and operates all aircraft and employs all medical, aviation, and operations staff in-house. This lowers our overheads and allows us to offer the most competitive rates in the industry. This is only one of the reasons we are able to offer flexible, compassionate and personalised care. We are also fully accredited with International Assistance Group (IAG) which extends our reach even further. IAG is a global alliance of over 140 independent assistance companies hand-picked following stringent selection criteria, including an average of 15 years’ experience in their respective markets. Close collaboration with trusted partners in IAG means a safer, faster passage home from almost anywhere in the world. A licensed aircraft engineer and pilot with more than 25 years’ industry experience, Shane’s passion for aeromedical transport began with his aircraft maintenance company Formula Aviation. In 2013, after recognising a gap in the aeromedical industry, Medical Air was born… with the goal of creating a company that services, maintains and operates all of its aircraft and employs all medical, aviation, and operations staff in-house. Medical Air has become a passion and life direction for Shane whose mission is to provide the best, most compassionate and cost-effective bed to bed service possible. With a dedicated team of experts in both the Medical and Aviation Fields behind him, Shane is proud to provide a quality, cost-effective, compassionate service that strives for the best outcome at all times. 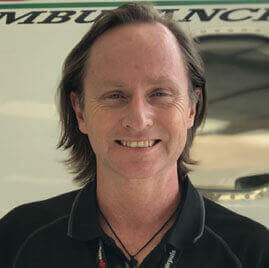 Bruce Wicksteed is an experienced aeromedical nurse and paramedic, with more than 20 years of acute clinical experience - including 10 years in Paediatric Intensive Care as a Clinical Nurse, and 6+ years in pre-hospital settings including State Ambulance services and high acuity International Aeromedical retrievals. Bruce has an impressive list of achievements - including several post-graduate awards in areas such as Paramedicine and Retrieval Medicine and was awarded a Churchill Fellowship in 2013 to examine varied models of paediatric retrieval services around the world. Bruce has also developed and published several resources for paediatric intensive care and resuscitation including PediWheel Resus and the Paediatric Intensive Care ‘Little Black Book’. 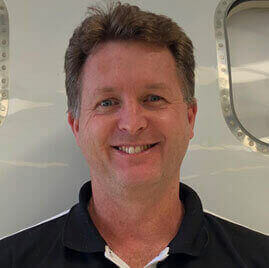 With his experience in retrieval medicine, critical care, paediatrics and prehospital health care, and his compassion and commitment to his patients, Bruce is an irreplaceable asset to the MedicalAir team. 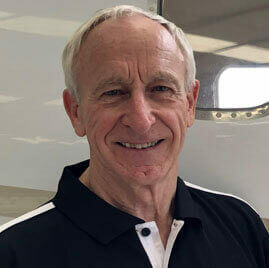 An Aeromedical Physician with more than 30 years’ experience, Robert’s passion and dedication to Aero-medicine is evident through his many achievements and years of service in the industry. 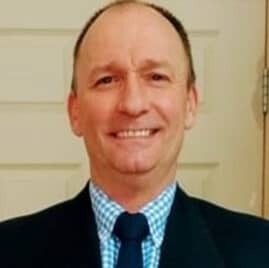 Robert has worked as the Medical Director for organisations such as International SOS based in London UK, AEA International SOS, Dan Air Services London, Aviation Medicine for the Civil Aviation Safety Authority Australia, and Royal Flying Doctor Service WA. In addition to his many years serving as an Aeromedical specialist, Rob is also a licensed Airline Transport Pilot with more than 7500 flight hours under his belt. Martin leads our flight operations team with a wealth of aviation experience and a focus on safety and efficiency. His extensive corporate aviation experience includes flying within Australia and throughout The UK, Central and Eastern Europe, the North Atlantic and USA, Africa and Asia. He holds ATPL licenses from Australia, United Kingdom, USA and Hong Kong. Martin’s involvement in the international aeromedical industry commenced in 1999 in the UK and more recently he was instrumental in obtaining approval to conduct aeromedical jet operations for the world’s largest oil and gas consortium and continued in the role of training and checking. Martin has been flying midsize business jets such as the Citation XLS and Embraer Legacy 650 for well over a decade.